Tina has dedicated her career to helping individuals and companies increase their POSITIVITY. Just a simple shift in focus changes our entire experience, whether it’s a major transition, our work, or our colleagues and customers. As an individual, this increases our enjoyment and success at work. As a company, it improves productivity, morale, and retention. In every moment we have a choice. We can let our natural survival instincts focus us on all the problems and challenges, or we can choose to shift our thinking to also notice the good. Tina's programs share insights and strategies to make that choice easier. The result is more resilience, less stress, and increased motivation. 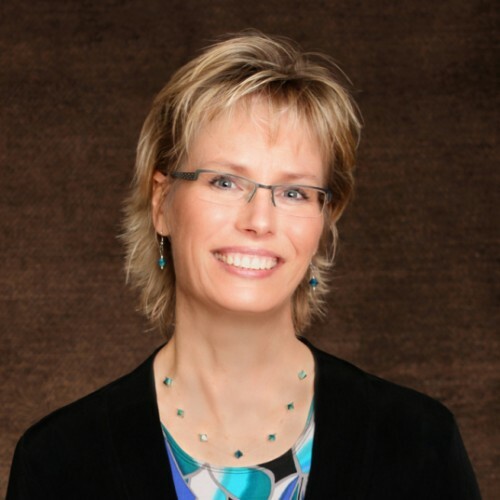 Tina is certified in Positive Psychology through the WholeBeing Institute, an Authorized Partner for Everything DiSC® and a Professional Member of the National Speakers Association. She earned her Ph.D. in Chemistry from the University of Minnesota and worked for 20+ years in Biotechnology at small start-up companies and large corporations. She has great insight into the different priorities and challenges of individual departments because of her experience in R&D, operations, product management and contract services. In 2011, Tina discovered a new science called Positive Psychology that focuses on how we can all live our best lives. She was so excited about sharing this information with others, she decided to hang up her lab coat and start her own company, The Positive Edge, with the goal of bringing this information into organizations to help improve the quality of people’s work lives and the quality of company cultures. Tina has had the opportunity to share this information with thousands of people from a variety of industries including government agencies, academic institutions, hospital staff, biotech companies, financial institutions, sales teams, nonprofits, and more. She offers different options that affect her speaking fee so she can work with you to fit most budgets. call Tina today at 608 448-3576 or email her at Tina@ThePositiveEdge.net. Tina did a great job at our executive networking meeting presenting “Finding Sanity in Ambiguity and Uncertainty.” She really connected with the audience as the topic was very relevant for people who are currently in transition. Searching for a new job, especially as an executive, can be very challenging and stressful. Tina shared scientifically based strategies to help deal with this stress and make the process easier. Her approach was engaging and interactive. We received many positive comments from the participants after the presentation. — Cory Erickson, President and CEO at Career Momentum, Inc.
Find out more about Tina Hallis, Ph.D. of The Positive Edge at http://ThePositiveEdge.net.